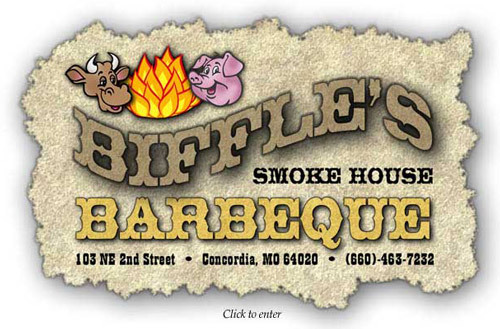 Today’s cow is from Biffle’s Smoke House BBQ in Missouri! The first cow image I saw today came through my email inbox. My husband is in snowy (actually, snowed in) Missouri for work this week, and he managed to take a snapshot of this billboard while driving back to the Kansas City airport. How nice of him to think about me this way! Sorry about the bad quality picture, that’s what happens when you take a photo through a snowy windshield… Anyway, notice how both a cow and a pig appear together on the billboard, reinforcing the idea I had the other day that cows and pigs may be best friends. 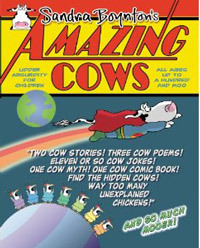 Previous Post Sandra Boynton is a fan of amazing cows in her new book! 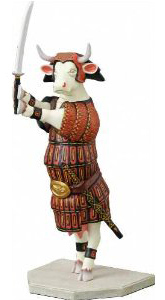 Next Post Today’s cow is Unsinkable Molly B – a cow with more lives than a cat!